To make the most of your recording experience, we feel it’s important to give you an idea of what happens when you arrive at the studio to create your recording. 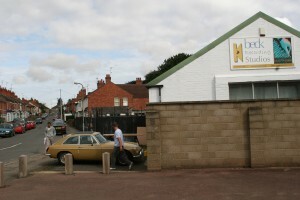 We have parking in front of our studio for up to four vehicles, but there is also ample roadside parking. You can then unload your gear straight into the studio. After a nice cup of tea or coffee (optional), you will set-up your instruments in our large live room. If you are a solo artist singing to pre-recorded backing tracks, this is simply a matter of setting up a mike and some headphones. If you are a band, then you will need to se-up your back line and drums. 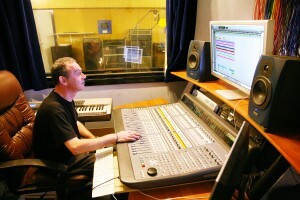 We will then mike-up all of your instruments, get levels and do a quick test recording for you to listen to. This will be a very rough mix, but you will know that your instruments sound as they should and that all the instrument signals are coming through loud and clear. For a solo artist this will only take about 10 minutes, but for a band, we usually spend about 2 hours or so making sure that everything is just right. You can record all of your instruments separately if you prefer. This will produce a clearer recording but will take a little longer and you may loose the ‘groove’ that you get playing as a band. Once everything is set-up and we are both happy with the rough mix, it’s time to start your recording session. We will record as many tracks as you wish. This will take as long as it takes for you to play your tracks as you want them. So, if you get a song right first time, we can move straight onto the next one, providing there are no instrument changes between songs, as additional set-up and miking will be required. If this is the case you are as well to record all tracks with the same line up in sequence to save changing mikes and instrument settings backwards and forwards. We usually record a guide vocal for reference, just in case a mistake is made and a punch in is required. Once all of the main elements of the songs have been recorded, it’s time to do the overdubs, if you need any. It is recommended that you record a clean lead vocal over your guide vocal. Other overdubs are usually things like guitar solos, backing vocals, etc. You can also remedy small errors in your main recording by ‘punching in’ an overdub over the offending glitch at this point. This process is only required if there are mistakes in timing or pitching. We can correct most things within the digital domain. Editing can also be used as a creative tool to create interesting effects or rearrange song structures. We need to allow at least half-an-hour per track for a basic mix, longer if there are a lot of instrument variations or effects required and the amount of overdubs you have recorded also has to be considered. You can be present at the mix and contribute to it, or just leave it to us to do, whichever you prefer. Many artists are happy with just a mix, but for an additional charge you can have your track’s mastered. Mastering is effectively mixing the final mix which entails applying further EQ, compression and limiting to the overall stereo mix. All that’s now left to do is burn your disk. We will supply you with a single master on a printable disk. We can create your sleeve and disk artwork if you wish and arrange for duplication too. You can have your disk in most common formats, such as CDA or MP3. 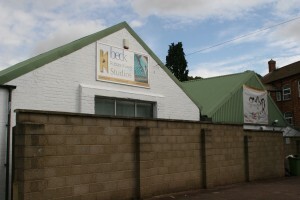 To make your creation even more special, we have a professional photography and video studio at Beck, if you want some pictures for your CD Artwork or an accompanying video.